Product categories of Goji Berry, we are specialized manufacturers from China, Goji Berry, Organic Goji Berry suppliers/factory, wholesale high-quality products of Dried Goji Berries R & D and manufacturing, we have the perfect after-sales service and technical support. Look forward to your cooperation! At ancient times, people picked up wild fruits, and they found the magic of Goji , The pictograph word "qi" in Chinese character just like a man knelt down at a Goji tree , the left of the character "qi" seems like a tree, and the right like a person bowed down. That means as early as four thousand years ago, people found that Goji can keep fit and role of longevity ,Goji has magic power to people`s life. 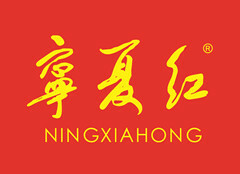 Copyright © 2019 Ningxiahong Goji Industry Group Company Limited All rights reserved.